She (or he!) was gently led up the slope, for you couldn’t really grasp the gist from the beach. Then, together, they looked out over the seascape and…lo! 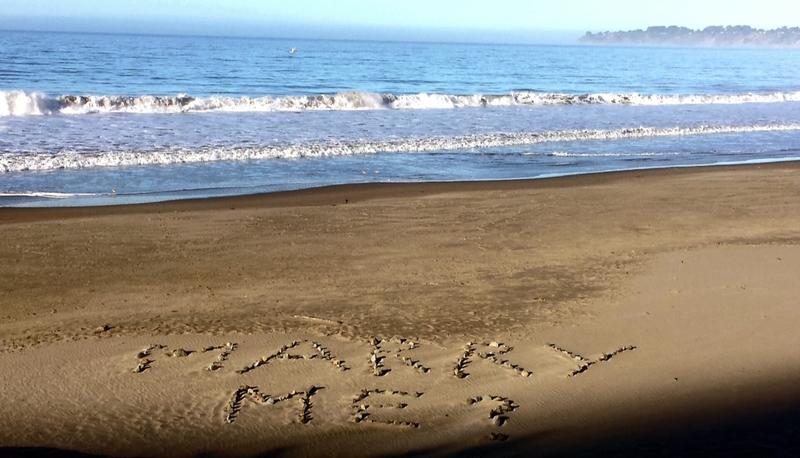 I love that I happened upon this creative marriage proposal on an early-morning beach walk! I love that someone searched the beach for stones of roughly the same size and composed this message of hope and love. I love…love.